Astonishing Audio Gadgetry with the Incredible SoundCore range from Anker! We’ve been big fans of Anker’s Soundcore range for a while with their stunning array of audio based gadgetry. 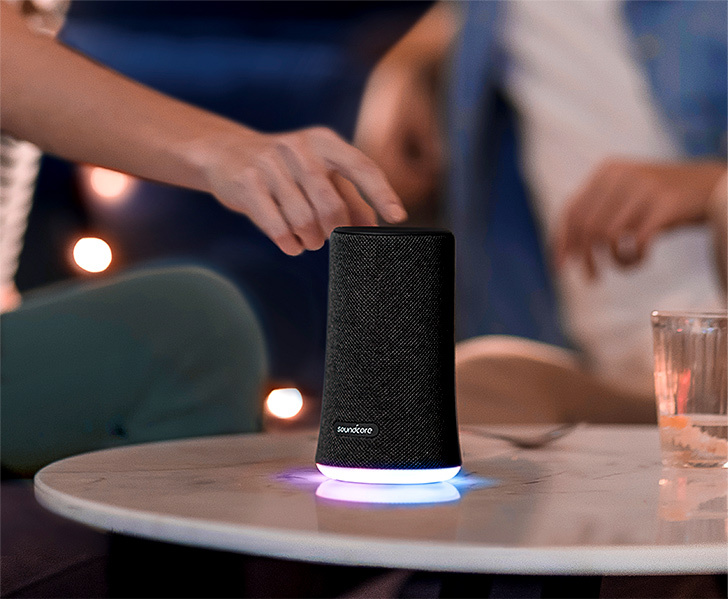 This includes the fantastic SoundCore 2, SoundCore Boost and SoundCore Mini to name a few all of which have received exceptional reviews from a range of tech publications. 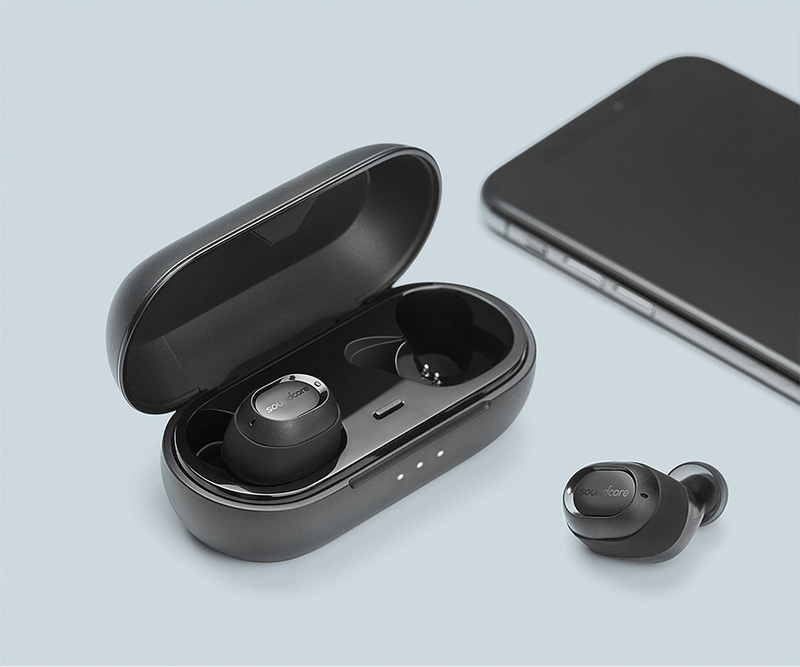 So when Anker asked us if we’d like to cover two products from the range, the SoundCore Flare+ and Liberty Lite Total-Wireless Earphones, we simply couldn’t say no! First of all we had a chance to get to grips with Anker’s incredible SoundCore Flare+. It has to be straight out of the box, the SoundCore truly is a thing of beauty.The aesthetic of the design is amazing with a similar styling to Anker’s previous SoundCore Flare. 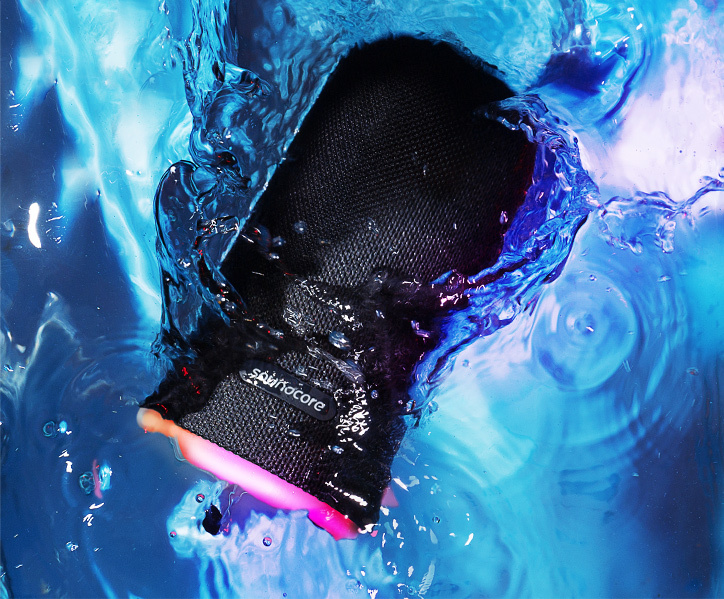 The actual SoundCore Flare+ is guaranteed as waterproof with a promise of being able to work after being submerged in water with an IPX7 rated casing. Something that’s pretty impressive. Along with which the build quality of the SoundCore is surprisingly robust compared to other similar bluetooth speakers. Whilst at the same time the outer case though is concealed by a sleek fabric wrap giving the SoundCore a real feeling of quality. This really sets it apart from the competitors and is great peace of mind knowing it will be able to take a few knocks when in use. Sound-wise there’s a host of kit housed in that discreet body. There’s the staggering 360 degree sound with two back-to-back full range drivers accompanied with dual passive bass radiators and tweeters delivering 25w of 360 degree sound. Accompanied with a precision EQ adjustment and a driver configuration which allows for careful manipulation of the low end bass. That’s pretty astounding and we were keen to see in practise how it would shape up. But one of the SoundCore’s real selling points is the impressive light display situated at the base of the SoundCore Flare+. This really sets the Flare+ apart, by having a halo of LEDS reacting and shifting in pattern in time with the beat signature of the music being played. We were particularly impressed with this, especially with the fact you can customise the actual illuminated patterns via the free SoundCore app downloadable for tablets and smartphones.How cool is that? But most importantly of course is functionality, just what does the Flare+ sound like? Well we’re pleased to say from our experience, it’s mind-blowing. The sound for such a discreet speaker is a marvel. The dual passive bass radiators are phenomenal and when activated they really do add a whole different dimension to the sound. It’s also easily activated and deactivated meaning you don’t always have to have a bass heavy accompaniment to your music. Clarity is also crystal clear and most certainly fills out a room with the 360 degree sound. But again you can always tailor your music tastes using the accompanying app so you’ll never feel like you’re ‘stuck’ with a particular style of audio output. Battery life is also nothing to be sniffed at, with up to 20 hours of playtime from a single charge, put to the test this really blew us away and was great to know that you’re not going to run out of music in the midst of a party! What we found particularly impressive was the fact you can wirelessly pair two Flare+ speakers to a single device. In doing so you can then select boost mode for synchronised playback with double the volume, or even create separate left and right channels. Next up we were lucky enough to get a chance to check out SoundCore’s Liberty Lite Ultra Slim bluetooth headphones. These minimal earphones carry an astonishing battery life of 12 hours whilst also promising a remarkably clear sound with it’s graphene Enhanced drivers. It’s fair to say we were keen to put them to the test. Straight out of the box the headphones are notably chic for a bluetooth sports headphone. 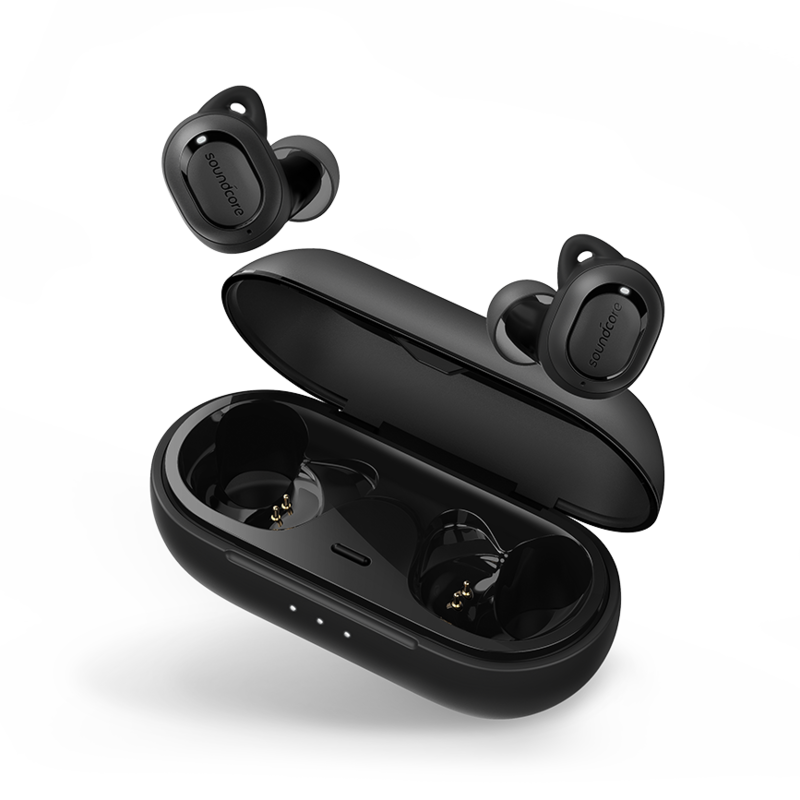 Anker state these are the smallest and lightest wireless earphones ever and we don’t question them for a moment. The earphones themselves come contained within a sleek compact charging case. This not only looks great but accompanies their ‘push and go’ technology. This means in theory you can just simply remove the earphones from the sleek case they’re stored in and connect. How simple is that! Also the earphones allow you to make calls through a single earpiece providing in-call stereo sound. Again another feature which keeps their use very straightforward indeed. It should be said for use the earphones were remarkably comfy for a sports earphone which can sometimes feel uncomfortable. Both of them sit snugly in your ears and reassuringly are water resistant which is great to know in adverse conditions. 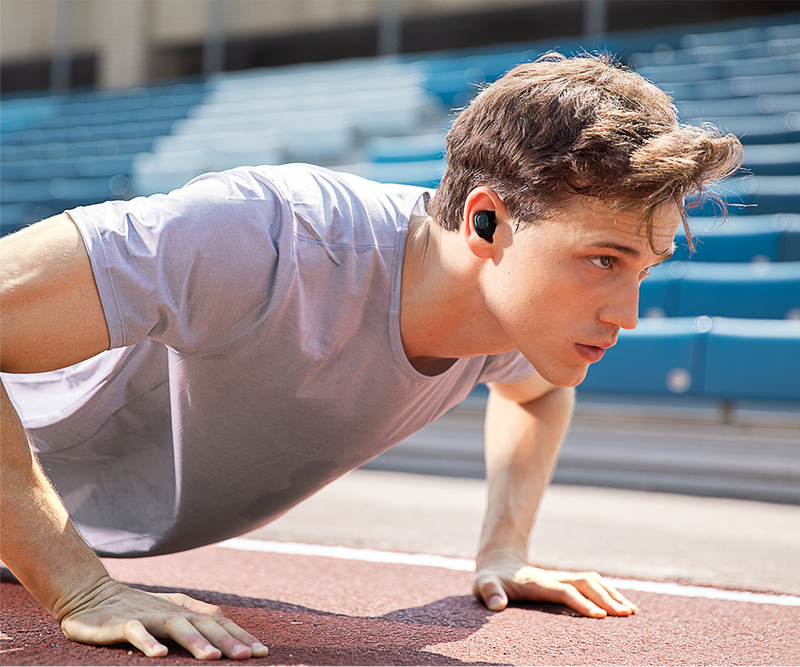 Connecting was quick and pain free which we’re told is made even easier using the earphone’s LDS satellite technology which maintains a super strong Bluetooth connection up to 33ft whilst you’re training. We experienced no dropouts whatsoever and were particularly impressed to see the earphones stood up to their 3.5 hour battery promise with 9 extra hours in the charging case. But most importantly of all has to be sound quality and it’s here where Anker have again surpassed themselves. The Graphene-Enhanced Sound really does deliver astonishingly clear audio. Trebles are crisp and bass is heavy and clear which again for a stud sports earphone is nothing short of extraordinary. 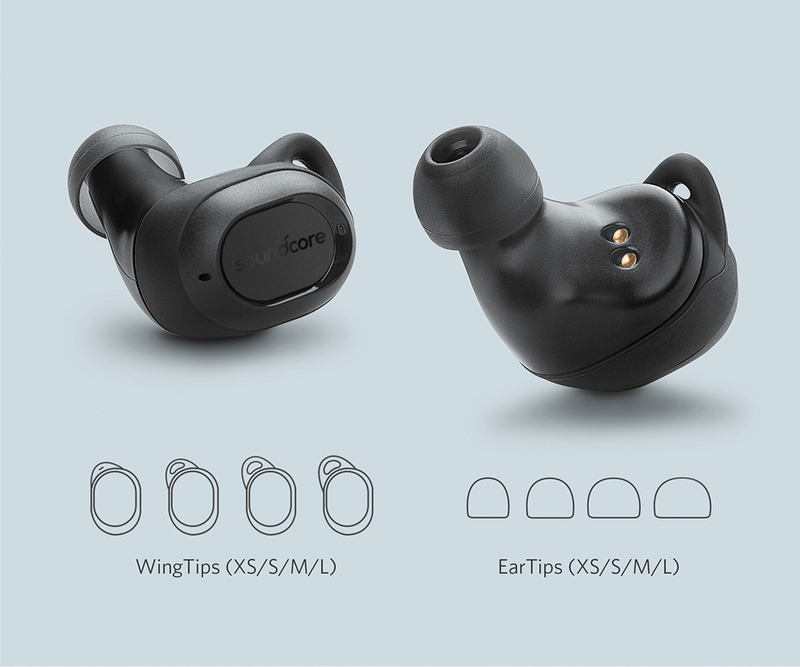 We absolutely loved the SoundCore Liberty Lite Wireless Earphones. They’re discreet but the sound quality is nothing short of remarkable.